Ashley V flew his first solo flight today at Stratford on Avon Gliding Club. Junior member Ashley was sent solo after final check flights by senior instructor Mike C in K13 G-DCBW. Ashley with Mike C after his first solo. 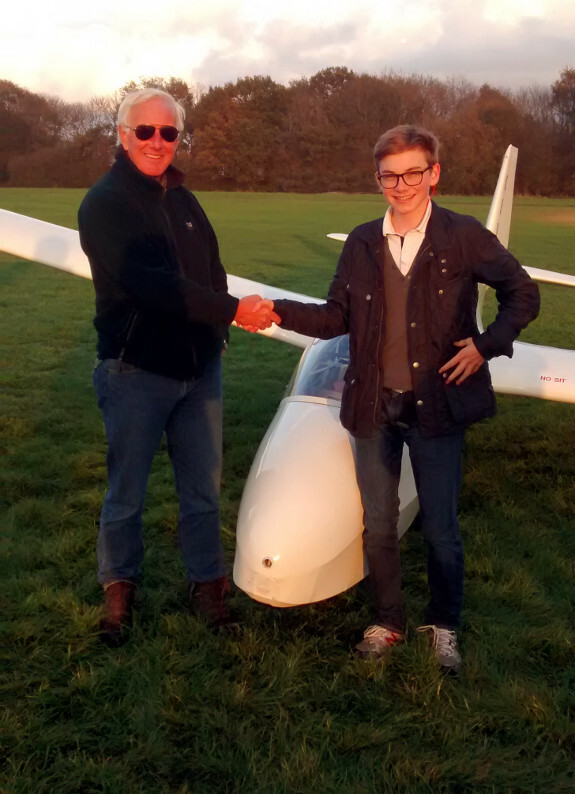 This entry was posted in News and tagged first solo, junior gliding by admin. Bookmark the permalink.